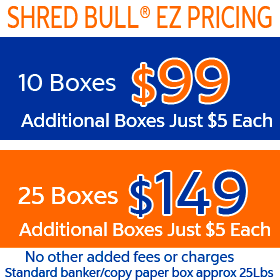 Shredding Company in Orange County, CA. Secure, Reliable, Honest. Being a local shredding company means that we are part of your community. We live, shop and raise our families in Orange County, CA. We also know that you have many options when it comes to selecting the best mobile shredding service, and are happy you have given us the opportunity to earn your business. If you do choose us as your document destruction company we promise you will get great service, at a great price. We are a locally owned mobile paper shredding company, that means convenience since we come to you. We are secure and compliant from our mobile shredder truck to our HIPAA compliant wheeled bins and office consoles that we place in your office. Our company is proud of the value we provide, you’ll find our pricing right here on our website. We are family owned and operated. As a small business, every customer is a very important to us. When you call us about your local shredding needs we will do our best to be brief, friendly and helpful. We want to earn business, but also understand the value of your time. We try to get straight to the point, after all we are here to help. Even if you have a simple question we would love to hear from you. We offer Business service or residential service , either way, we hope you will find us easy to deal with and very professional.